Sometimes I don’t feel really creative. Creativity is not something you learn and then that’s it: you’re creative! You have to keep practicing it. You have to keep doing creative activities to stay in that mindset. Sometimes I get really busy and don’t take time out for my own creativity. I like to do something just for myself that is creative every day. Sometimes one day goes by and then another. And before you know it, I don’t remember the last the I did something creative just for myself. It’s great because it’s not forever. I’m not saying that I’ll be making a piece of jewelry every day for 5 years. I’m simply doing it for a month. And at the end of the month I will see how I feel. Maybe I will want to continue a daily creative practice. Maybe I’ll cut it down to weekly or something else entirely. Sometimes I focus on a particular thing, such as earrings (like we did last September.) Or somethings I’ll just say, “For 30 minutes each day I will do a creative activity” and it’s more laid back. I do find, however, it’s so much easier when I have everything set up and ready to go each day so when I sit down to my work table I can just start. So focusing on one specific thing a day for a month is perfect for me. Obviously jewelry making is my favorite thing. I love designing jewelry. I love making jewelry. I love accessorizing my outfits with jewelry. And I love sharing my work with others. And lately I’ve been really into making wire wrapped rings! Does that sound like something that can help you, too? 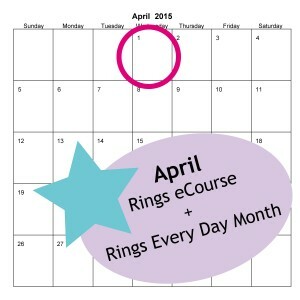 If so, I invite you to join in with Rings Every Day Month starting on April 1st! I’m going to guide you along, so you don’t have to remember each day. I’ll be your inspirational accountability partner, gently giving you daily reminders to make a ring! The absolutely free version where you will get daily inspirational emails from me. Once a week I’ll send you a ring tutorial. Or the premium (paid) version. 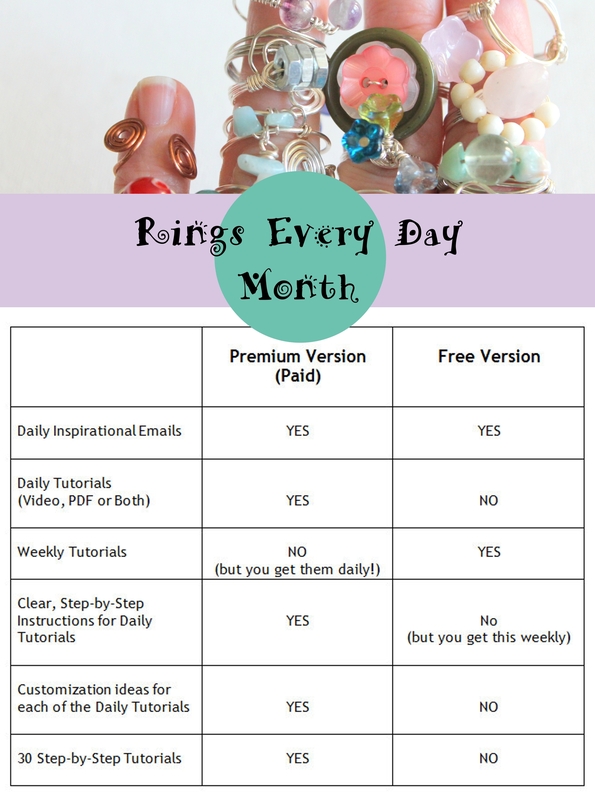 That version includes a DAILY ring tutorial, 30 in total, so you can also learn new ring designs as you go along. 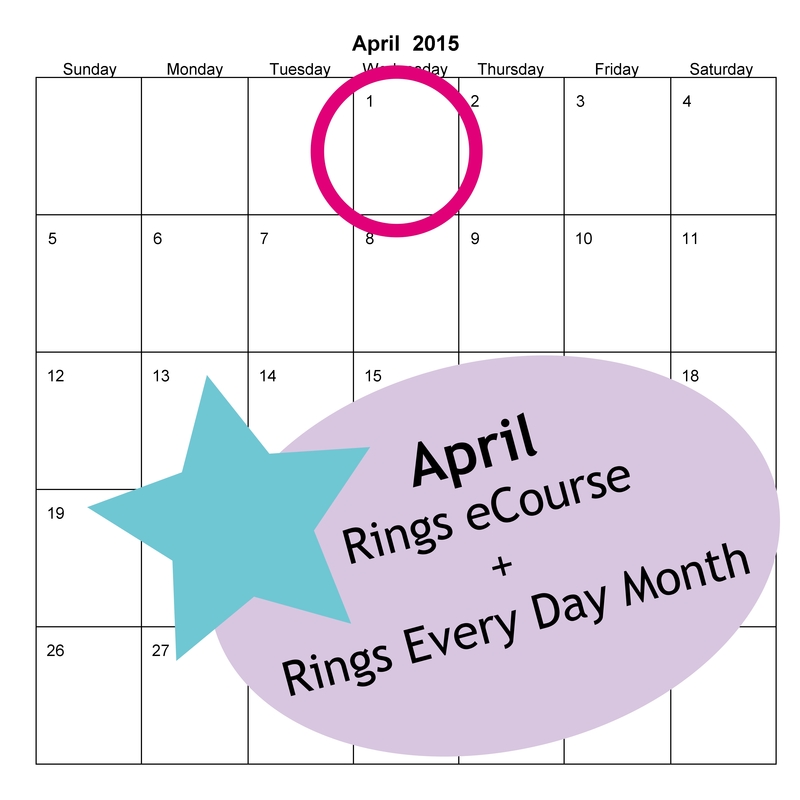 At the end of the month you’ll have 30 new rings! You will feel more creative and you’ll have a new daily creativity practice! 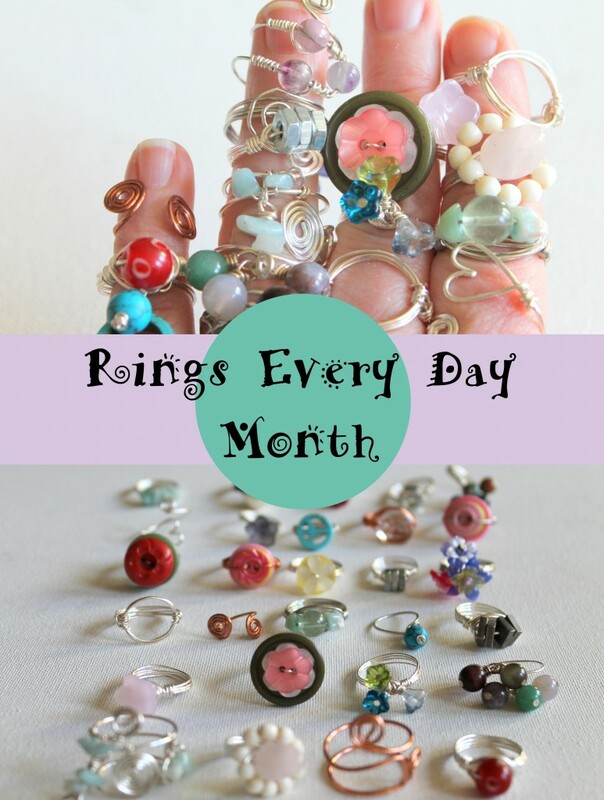 To sign up for Rings Every Day Month, click here. This entry was posted in Creativity and tagged creativity, daily challenges, rings every day month by Kimberlie. Bookmark the permalink. Thanks for your question, it’s really something I should explain better! 🙂 I would say they are at an advanced beginner level to intermediate (and maybe a few a little more challenging than that.) What I mean by that is that if you are brand new to jewelry making (which I know you’re not) you might find the rings a little difficult. However, I do have very clear step-by-step instructions so even if you were a beginner you could still be successful.